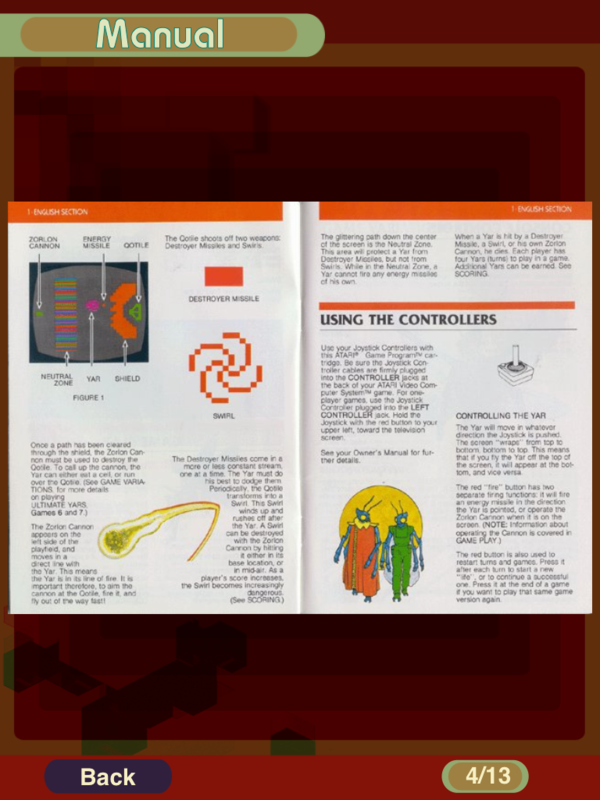 “Atari’s Greatest Hits” Review – My God, It’s Full of Pixels! 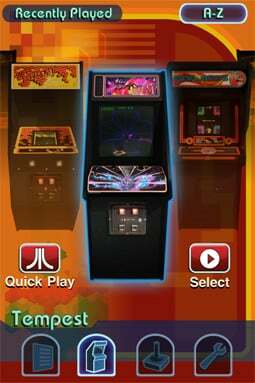 Early this morning Atari released perhaps the most significant single retro gaming application yet to appear in the App Store. 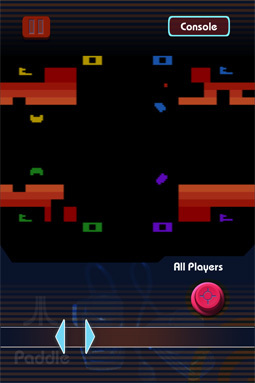 Atari’s Greatest Hits [link] is a free Universal application for the iPhone and iPad that comes bundled with their first game ever, the 1972 classic Pong. And, while the games-for-free situation ends there, the fun certainly doesn’t — not by a long shot. One hundred vintage Atari games for fifteen bucks. It’s quite a proposition. But, what are we talking about here? The almost awkwardly long list of game packs and the titles within them can be seen in our earlier post about this release. The stars of this collection are the arcade titles, certainly. 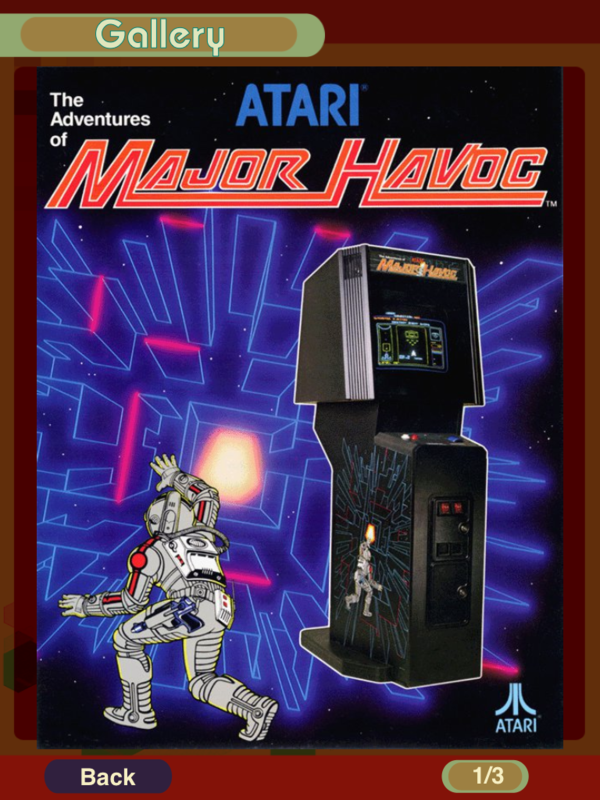 And there are some amazing games in here — Tempest, Major Havoc, Asteroids, Centipede, Missile Command, and Battlezone, among others. Many of these titles were originally vectorscope games, where the screen draws the images laser light show style, as opposed to in terms of scanlines and pixels. These games translate amazingly well to the iPhone 4’s Retina display which renders them at over 300 dpi, with antialiasing to boot. But, then, the iPad’s larger physical display is quite a boon for these titles, as well. The arcade titles may be the stars of the show, but the bulk of the games in attendance are from the Atari VCS / 2600. And here, too, there are some awesome ones — Yar’s Revenge, Battlezone 2600, Adventure, Star Raiders, and Combat, among the rest. But there are also some titles you probably didn’t save your last dime to bring home from the game shop in decades past. Like Basic Math. 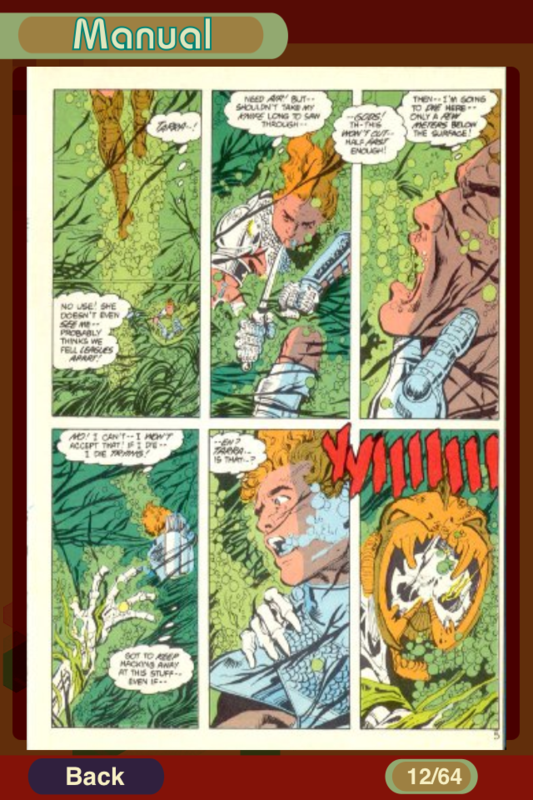 But, hey, many of these oddball titles bring enough character to the table to be forgiven. These are titles from the very genesis of videogaming, after all. A media gallery full of original cabinet art, manual scans, and various other bits of memorabilia accompany each game on the list. 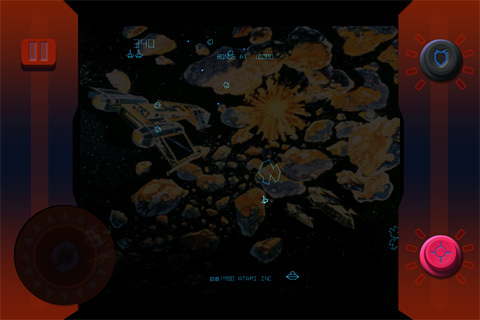 The arcade titles feature a settings menu that allows a certain degree of control and gameplay customization. Settings on the VCS titles are handled by way of the (virtual) metal switches on the front of the console, of course. Ok, so enough about the list — how are the controls? On this front, I am genuinely impressed with the iOS treatment Atari has given these titles, though it’s not quite perfection they’ve wrought. 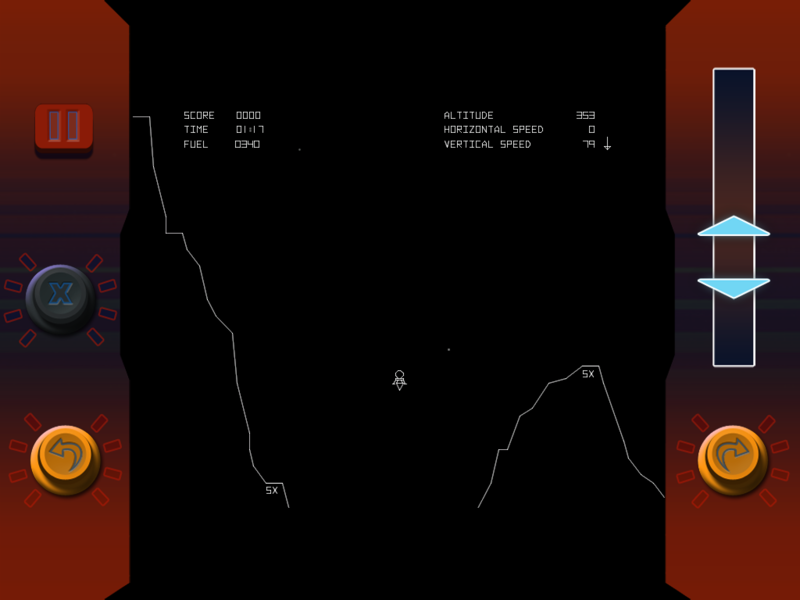 Games like Asteroids feature, not the awkward directional stick + thrust button, but a directional control that delivers thrust in the using. That’s a huge design win. 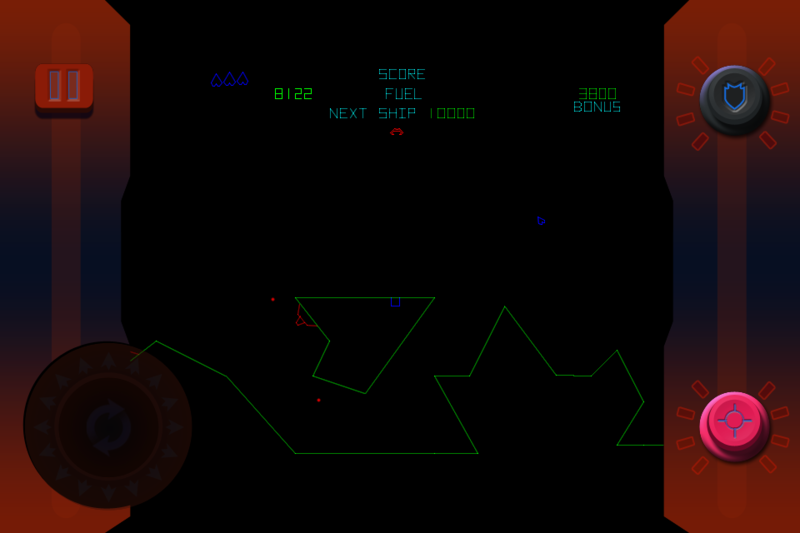 The default trackball swipe control for Missile Command, Centipede, and the like has a nice sense of momentum and works quite well, with a surprisingly convincing feel. 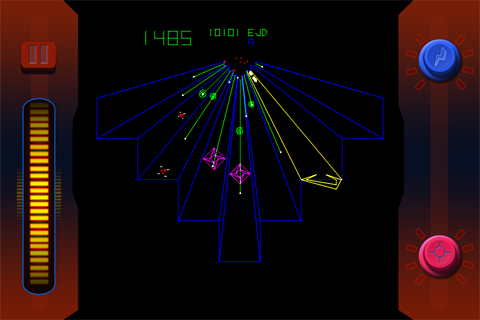 Battlezone features two sets of up and down buttons that do a solid job of standing in for the arcade cabinet’s dual sticks, but they’re not as lovely as Vector Tanks’ dual slider approach. And, games that were originally paddle-based feature a single slider across two different presentations, which work just fine. But, I do wish that there was a sensitivity adjustment for the last as, to me, they could be just a little tighter. The weakest controls come with a number of the VCS titles, where the familiar 4-way D-pad has been used. What can I say — this has never the ideal route in an iOS title. So, we’re talking about a solid collection of games and a respectable set of controls. Thumbs up, right? Well, let’s not forget to factor in the fact that many of these titles (see the unwieldy list) have been enhanced to allow local multiplayer gaming via Bluetooth. Read: Atari classics older than most of you reading this, finally getting the multiplayer treatment. Plus, we expect these titles to support the iCade retro gaming cabinet coming in June from Ion and Atari. Somebody pinch me — I must be dreaming! Atari’s Greatest Hits is absolutely one of the very best buys in the App Store. 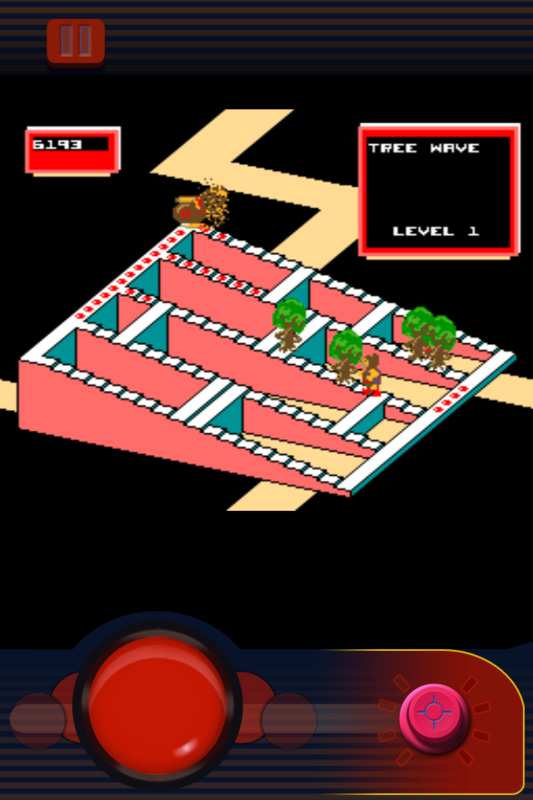 It will appeal to the oldschool gamer that calls pixellation his or her friend — obviously — but, really, this is also a historical treasure trove that the young gamer of today might just find surprisingly fun, while also delivering a worthwhile familiarity with titles that influenced basically everything we see in gaming today. In short, I cannot recommend Atari’s Greatest Hits highly enough. It is truly a collection not to be missed. Hats off, Atari — a most impressive offering.